I have been interested in dogs as long as I can remember. For over 25 years I have loved and cared for them. Growing up, my family always had dogs; German Dachshunds and German Short/ Wirehair Pointers. After I had moved out of my parent’s house I searched for a dog that would fit my active lifestyle. I found a German shepherd, who was for sale by a German Border Control Officer. Nico, as I called him, was 3 years old and full of energy and seemed to need a job. I joined the German Shepherd Club of Germany (SV) and trained Nico in obedience, tracking and Schutzhund. I also showed him in some local conformation events, where we did exceptionally well. Nico passed away at the golden age of 15 years. In June of 2000, I moved with my husband and daughter to the United States of America. I could not be without a dog, so I began my research on numerous breeds and breeders. 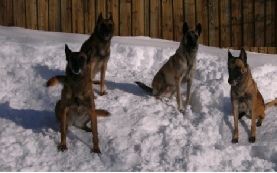 I met Carol, Frank and Lisa Knock, breeders of TriSorts Belgian Malinois Kennels and I fell in love with the breed. Shortly after, I purchased my first Belgian Malinois. Her name is Tribal’s Sunshine Arapahoe and we call her Sunny. I started training Sunny at the Civilized Dog Obedience School in obedience and conformation handling. 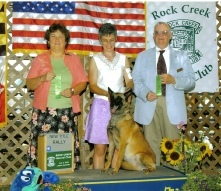 In 2003 I entered my first AKC Conformation show with Sunny. While competing in conformation, I continued training in obedience and later started training in agility. As I gained experience, I became an Instructor at the Civilized Dog Obedience School . 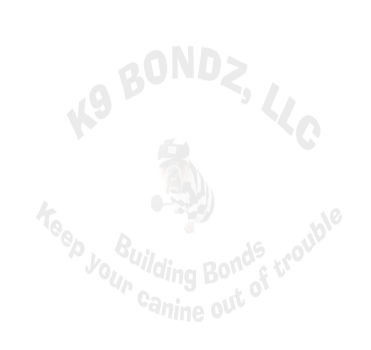 There, I have trained many dogs and have helped many dogs with behavioral problems that the owners could not solve without professional assistance. 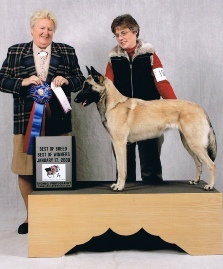 I have shown dogs at prestigious conformation shows, such as the Westminster Kennel Club Show, 2005 and 2006 in New York and the American Kennel Club Invitational / Eukanuba National Championship in Tampa Florida 2006. 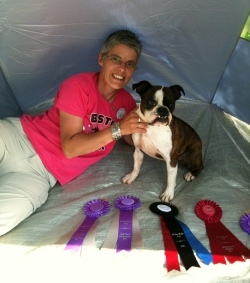 I mostly enjoy Agility, Obedience, and K9 Nose Work® and I have been competing with my dogs in these Venues. 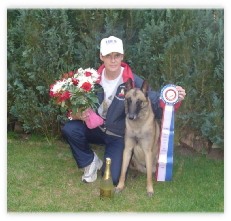 In 2008 I received an invitation to represent the United States at the FMBB World Championships for the Belgian Shepherd Dog in Slovenia. I was a Member of the US Agility Team and competed against Agility Teams from Austria, Belgium, Czech Republic, Croatia, Denmark, Finland, France, Germany, Great Britain, Greece, Hong Kong, Hungary, Italy, Japan, Netherlands, Romania, Russia, Spain, Sweden, Switzerland, Turkey and Slovenia. 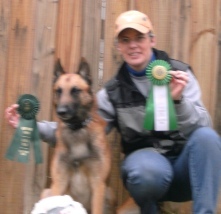 I am an active member of the "American Belgian Malinois Club" , I also hold a membership with the Mattaponi Kennel Club in Manassas, VA and belong to the agility instructor group. I am also a member of Marumsco Dog Training Club in Woodbridge, VA where I teach a Fun K9 Nose Games Class and volunteer to help teach a Canine Good Citizen Program and an Advanced Obedience Class. I am a certified CGC Evaluator under the AKC Canine Good Citizen Program. Since 2006 I manage the Daycare Program at Waggin’Tails Junction in Manassas, VA, a Daycare and Boarding Facility for dogs. 2011 I was asked to join Canine Co-Pilots, LLC as part of the K9 Nose Work® team.  Early 2012 I founded K9 Bondz, LLC to provide pet owners a fun and unique way to connect with their dogs, to build a bond between them and further the development of trust help gain confidence and strengthen their partnership.